As one of the most popular vacuum cleaning brands in the UK, you know that you’re investing in quality when you purchase a Numatic product. Perhaps most famous for its Henry vacuum cleaner, Numatic was founded in 1969 and is noted as one of the pioneers of commercial vacuum cleaning in the UK. Numatic now manufacture an extensive range of domestic, commercial and industrial cleaning equipment, a selection of which you can find with 1st 4 Cleaning Supplies. 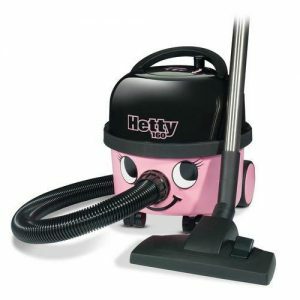 1st 4 Cleaning stock Numatic’s most popular vacuum cleaners, including Henry, Hetty, George and James, all of which are more than capable of carrying out tough cleaning tasks in domestic and commercial environments. We also stock Numatic vacuum spares and various other accessories, ensuring your machine is always running optimally. For further information about any of the Numatic vacuum cleaners that we have in stock, get in touch today.